Bust the Fridge 25 Points Secret Medal: Unlock this medal to view its details! Bust the TV 25 Points Secret Medal: Unlock this medal to view its details! Escape 100 Points Secret Medal: Unlock this medal to view its details! 5 Points You have slain a Boss in Waves of Doom! 5 Points You dealt 100 crits in Waves of Doom! 5 Points You achieved combo 5 in Waves of Doom! 5 Points You have reached wave 5 in Waves of Doom! 10 Points You have slain 10 Bosses in Waves of Doom! 10 Points You achieved combo 10 in Waves of Doom! 10 Points You have reached wave 10 in Waves of Doom! 10 Points You dealt 1,000 crits in Waves of Doom! 25 Points You dealt 10,000 crits in Waves of Doom! 25 Points You achieved combo 25 in Waves of Doom! 25 Points You have reached wave 25 in Waves of Doom! 25 Points You have slain 100 Bosses in Waves of Doom! 50 Points You have reached wave 50 in Waves of Doom! 100 Points You have reached wave 100 in Waves of Doom! EXPERT COMBOIST 50 Points You achieved combo 50 in Waves of Doom! GODLIKE COMBOIST 100 Points You achieved combo 100 in Waves of Doom! 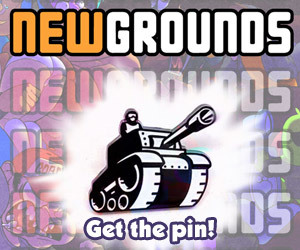 BRING IT ON 10 Points Secret Medal: Unlock this medal to view its details!